The ministry of corporate affairs has struck off 2,09,032 companies, most of which believed to shell firms, from the Register of Companies and barred the operation of bank accounts of such firms, as part of the government’s drive against channels of black money following demonetisation. The department of financial services has, through the Indian Banks Association, advised all banks to take immediate steps to put curbs on bank accounts of such struck-off companies, according to an official statement on Tuesday. Banks have also advised to go in for enhanced diligence while dealing with companies in general. Even a company having an active status on the website of the ministry of corporate affairs but defaulting in filing of its due financial statements or annual returns of particulars of charges on its assets on the secured loan should seen with suspicion as, prima facie, the company not complying with its mandatory statutory obligations to file this vital information for its stakeholders, the corporate affairs ministry said. These companies that have struck off fall within the ambit of Section 248 of the Companies Act and their existing directors and signatories will considered ex-directors and ex-authorised signatories. “These individuals will, therefore, not be able to operate bank accounts of such companies till such companies are legally restored under Section 252 of the Companies Act by an order of the National Company Law Tribunal. The restoration, as and when it happens shall reflected by change in the status of the company from ‘Struck off’ to ‘Active’,” the government said in the statement. Section 248 of the Companies Act empowers the Registrar to strike off the name of a company if it has failed to start business within a year of its incorporation or if it isn’t carrying on any business or operation for a period of two immediately preceding financial years and has not made any application within such period for obtaining the status of a dormant company, among other reasons. In his Independence Day speech last month, Prime Minister Narendra Modi said the government had deregistered more than 1.75 lakh shell companies with doctored accounts, based on data mined from the note ban exercise. “The drive against black money has led to the discovery of many shell companies. Following demonetisation, over 3 lakh companies have found, which are nothing but shell companies. Of these, the registrations of 175,000 companies have cancelled,” he said. Around 400 such firms discovered to be operating from a single address. 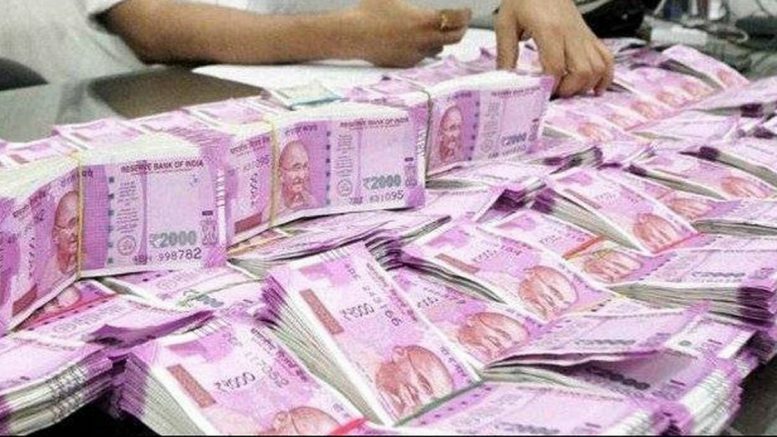 Last week, the Reserve Bank of India (RBI) said 99% of the banned `500 and `1,000 notes were deposited with the banking system following demonetisation. However, the government has maintaining that just because money has deposited with banks doesn’t mean they also legally accounted-for cash. Be the first to comment on "Black money crackdown:Narendra Modi government targets over 2 lakh companies, strikes them off register"